Never heard of WWDC? It’s Apple’s annual developer conference—a time exclusively set aside to talk about changes to software and operating systems that will have an effect on third party developers for the those platforms. It’s also when Apple gets to show off its new software features that will come out later this year. This year it takes place from June 13-17 in San Francisco with the big keynote taking place on Monday. Concept photo courtesy of MacStories. 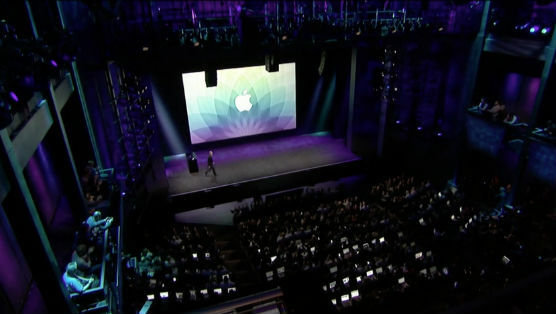 As it always is, the next version of Apple’s mobile operating system will be the biggest announcement coming from WWDC. iOS 10 feels momentous in terms of a the numbering scheme that Apple has going, but we don’t yet know how important it will be in terms of software features. In fact, Apple has never gone over the number 10 in naming any product line, so it will be interesting to see where it goes from here. A few of the biggest rumors that are circulating include a dark mode, a Siri SDK for third party developers, and an updated Photos app to support the rumored dual-lens camera that might grace the new iPhone later this year. Image leak courtesy of MacRumors. One of the biggest rumors for Apple’s Mac OS is some long-awaited Siri integration. Word is that we might even see a dedicated Siri button in the menu bar and dock that will let users get right into a conversation with the digital assistant. We don’t know a lot else that we’ll be getting for the OS X update, but we’ll probably see an expansion of Continuity and how smoothly iPhones interact with Macs. Now that Apple has become a bit more serious about its wearables and television hardware, we’re expecting to see Apple support them with some important software updates. According to MacRumors, Apple has stated that we will in fact be seeing tvOS 2 and watchOS 3, but we don’t yet what those updates will consist of. Regardless, Apple TV and Apple Watch users should tune in. There are two big rumors with Apple Pay that have been buzzing this year. The first is that Apple wants to bring Apple Pay to browsers to compete with things like PayPal. The second is for a peer-to-peer transaction system similar to Square Cash or Venmo. While those have become popular, the ability to send money to individuals in something like iMessage could really bring these kinds of payments into the mainstream.